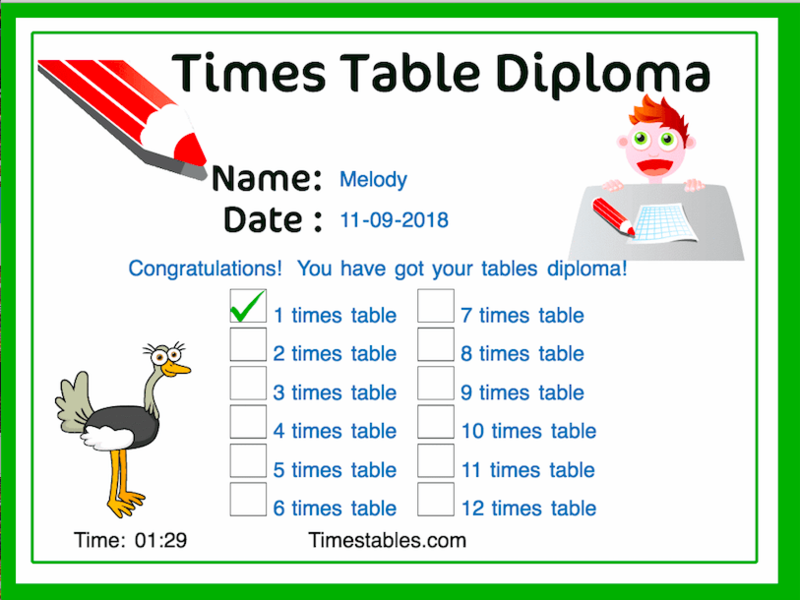 I got my Times table diploma for my ones times tables you have not much time but it was easy for me my time was 01:29 and there is 24 questions here is my diploma. This entry was posted in Uncategorised by melodyelphick. Bookmark the permalink. Well done Melody. I’m very proud of you.